Fall Weddings are growing in popularity, especially on the West Coast where unseasonable warm weather allows for outdoor weddings through mid-November. 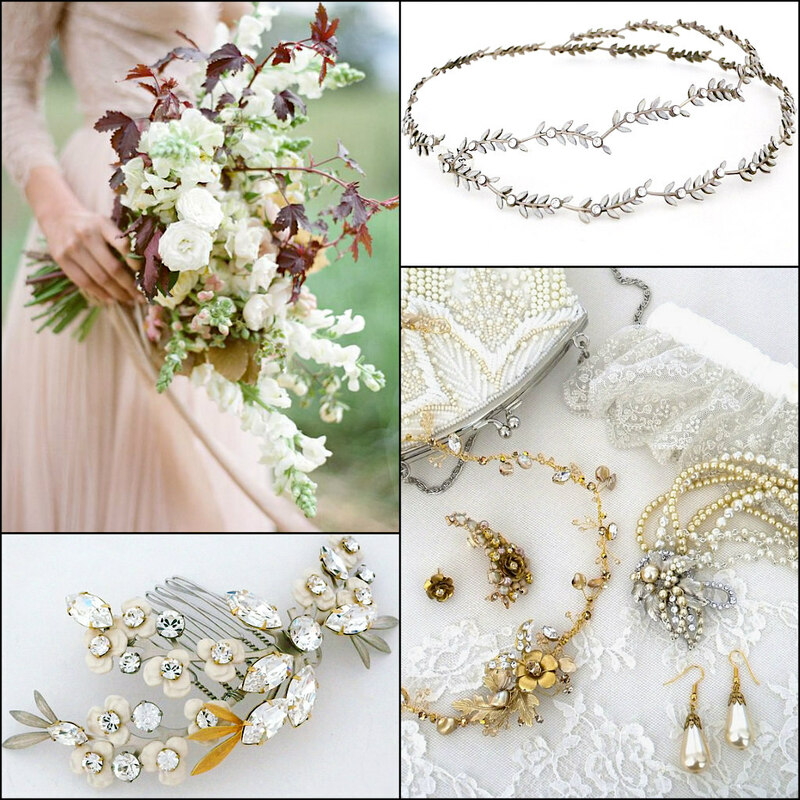 Incorporating the warm rich tones of Fall has never been easier as gold and champagne colored bridal accessories are the trend for Fall 2016 as well as boho-chic bridal jewelry and hair accessories that incorporate the rich ivory flowers as well as green and brown fall foliage. 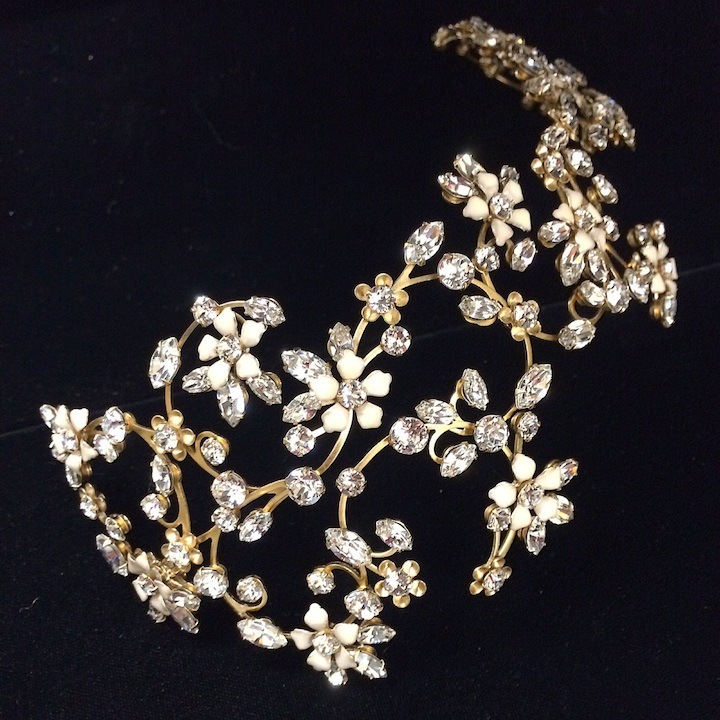 Complete your Fall Wedding look with fabulous bridal headpieces, jewelry and accessories. Shown are bridal hair accessories and jewelry from Debra Moreland for Paris, hair vine by Justine M. Couture, ear cuff from Pansey & Jameson, beaded handbag by Moyna and our own lace wedding garter. 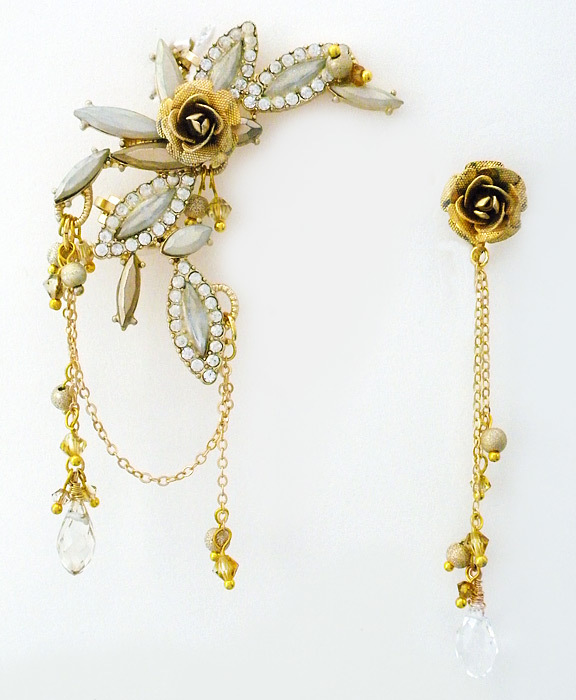 For the daring fashionistas, we love this mismatched ear-cuff set by Pansy & Jameson. Unique & fabulous for any occasion. 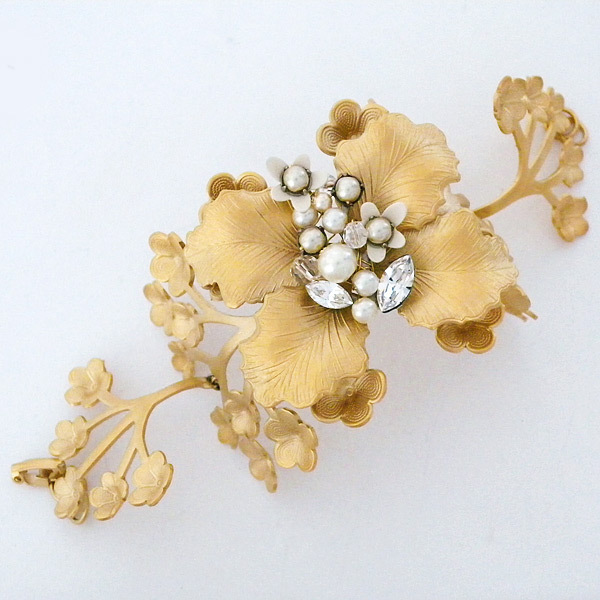 The Celeste gold floral hair comb by Laura Jayne Bridal is a favorite accessory for Fall brides. For a more dramatic look, the Marshmallow Hair Vine by Debra Moreland for Paris is a great option. 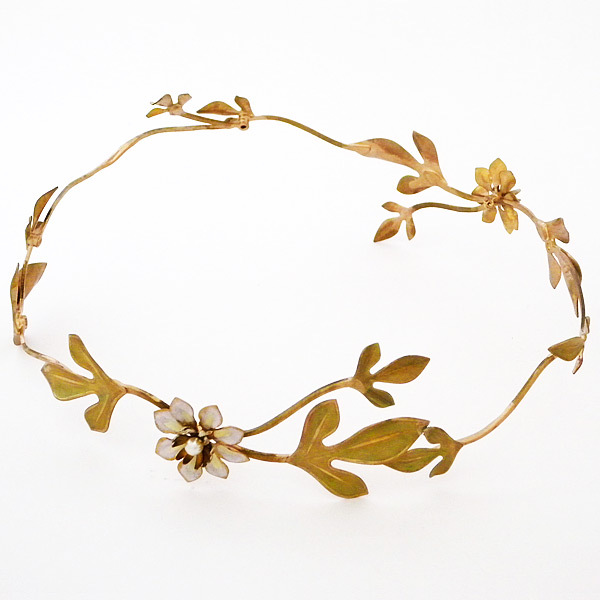 It’s a flexible piece that can be worn to the front, side or back as well as a traditional headband. 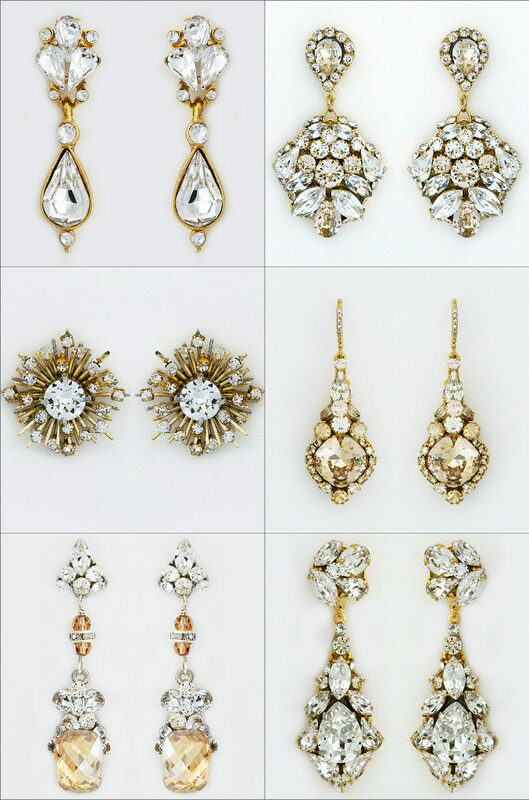 Speaking of glaming it up… These gold tone bridal earrings featuring champagne colored crystals add sparkle to your look no matter what your style. 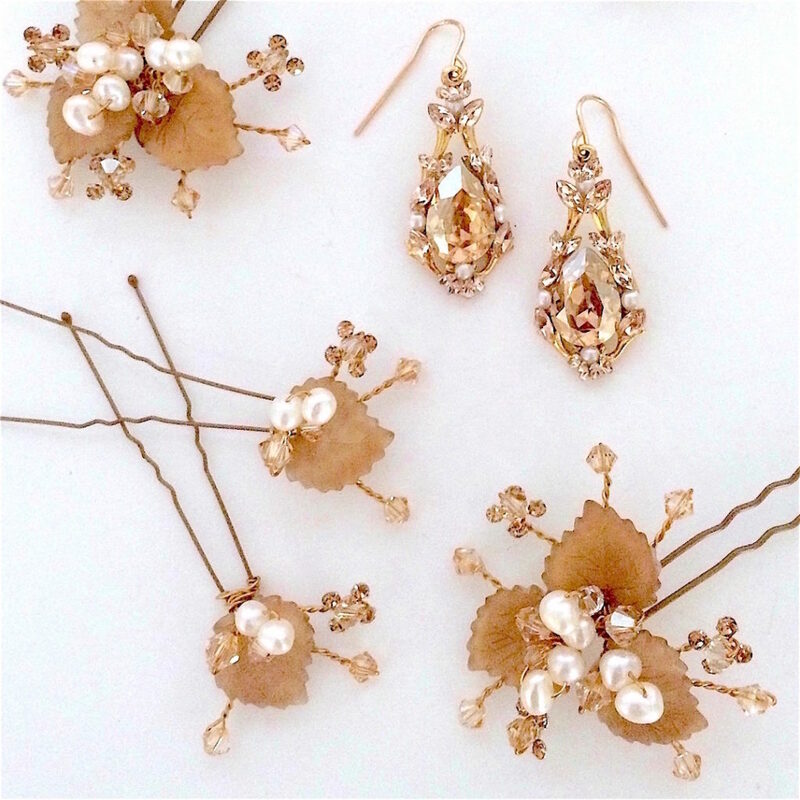 What could be more perfect for fall than these gold leaf bridal hair pins by Laura Jayne Bridal paired with sparkling champagne earrings by Meg Jewelry. 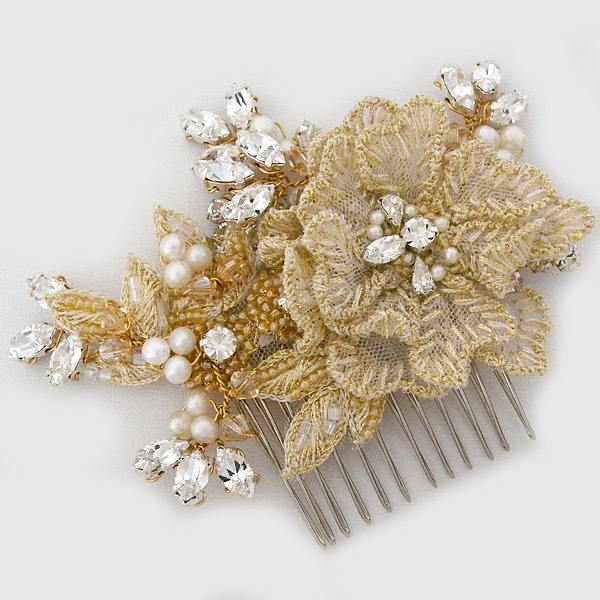 Some favorite boho-chic bridal hair combs by Paris paired with a Claire Pettibone Wedding Dress. Susanna of the Mounties bridal hair wreath. 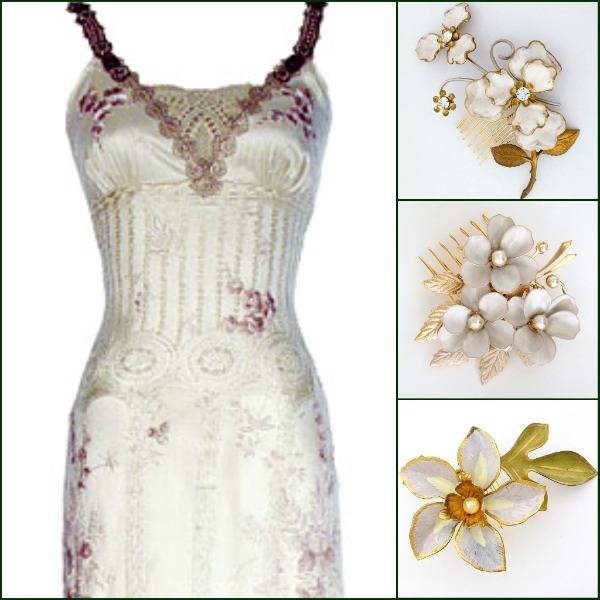 A Mid-Summer Night’s Dream for the Boho-Chic bride. Planet Earth bracelet by Debra Moreland for Paris. The ultimate accessory for the Bohemian Bride. Your walk down the aisle is not complete without the perfect shoes. 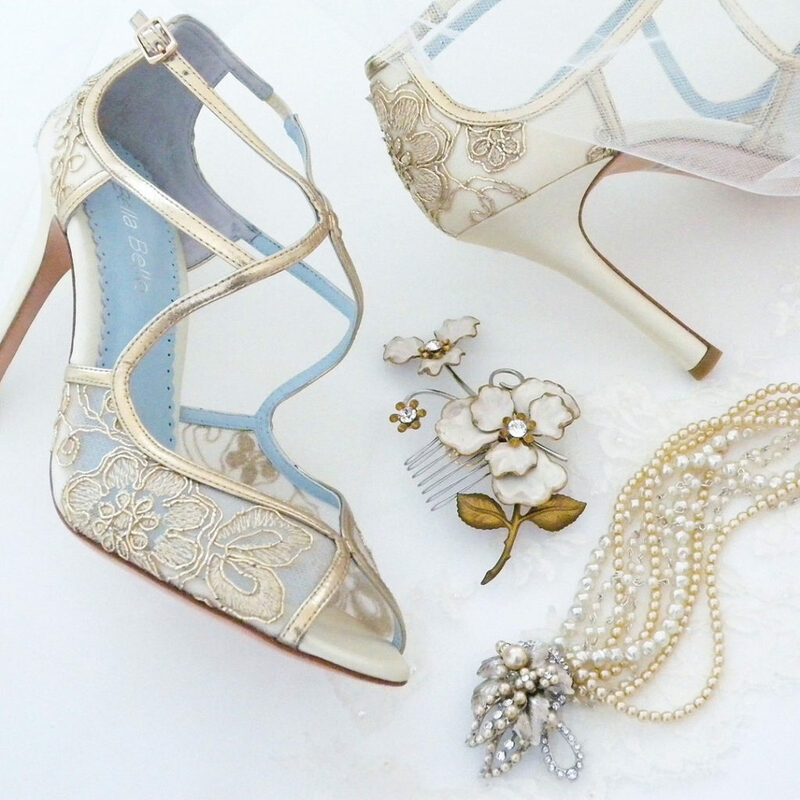 Love these gold lace wedding shoes by Bella Belle. Perfect anytime of year, especially perfect for Fall. Going for a more glam look? We have your back covered with a range of ivory wedding shoe styles from Badgley Mischka. And of course we haven’t forgotten about the wedding party. Our two new Sorrelli fall collections offer rich fall colors for bridesmaids and wedding guests. 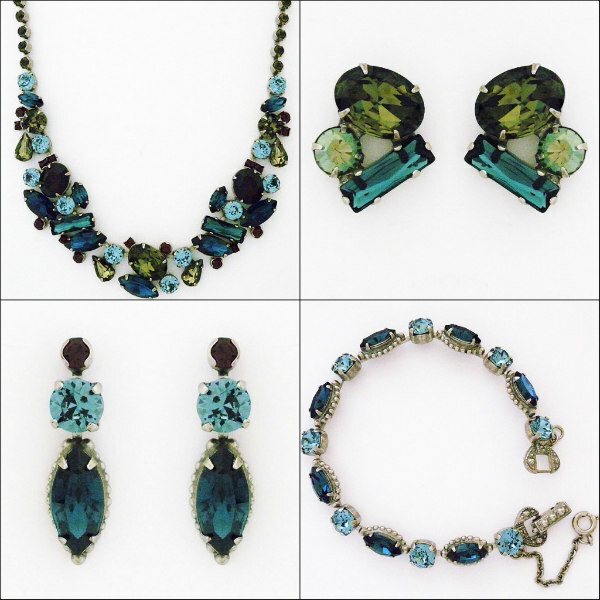 Sorreli Blue Brocade Collections offers mix and match jewelry styles in a year around blue & burgundy palette. 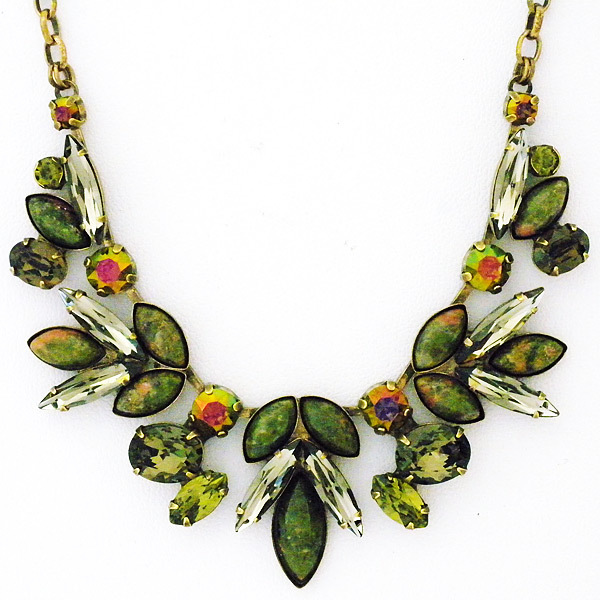 Sorrel Green Tapestry Collections offers traditional Fall colors in a collection of necklaces & earrings. Want to see more Fall Wedding inspiration? Visit us on pinterest, instagram and of course our site!